Ask school kids what their favorite school subjects are and sprinkled among the various answers might also be the answer of “Lunchtime.” School lunches in US schools have a long history. 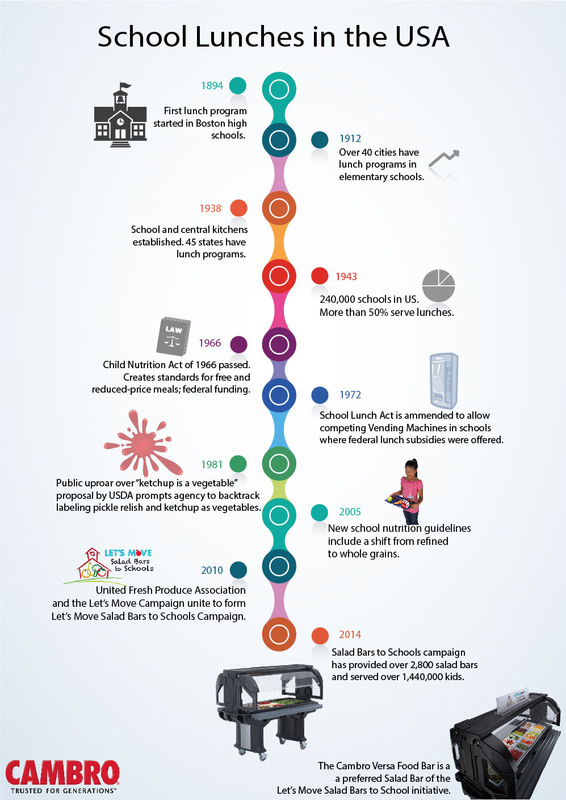 With recent changes to school nutrition guidelines and the growing trends like school gardens, farm to schools and salad bars to schools, we take a quick look back at some of the highlights of school lunches in the US over the years. For more information on Cambro’s options for food and salad bars for schools click here. Click here for more info on the Let’s Move! Salad Bars to Schools Initiative.